UGPM (Universitary Golf Program Málaga) player Victor Pastor continues to collect fruits form his thorough work. The Cordoba born player achieved the third place in the Copa de Andalucía Men held in Guadalmina during 8-11 Jan, 2015. The tournament, which opened the competition calendar for the year 2015, benefited from a high level of play given, the presence of numerous players who are currently studying at USA, and lived a final day filled with excitement until the last moment. Catalonian Pep Angles obtained the victory with an aggregate of 277 strokes (-11) with a one stroke lead of the runner, Mario Galiano. Pastor, who had won the 2012 edition, finished four strokes ahead of the champion with an aggregate of 281 (-7). 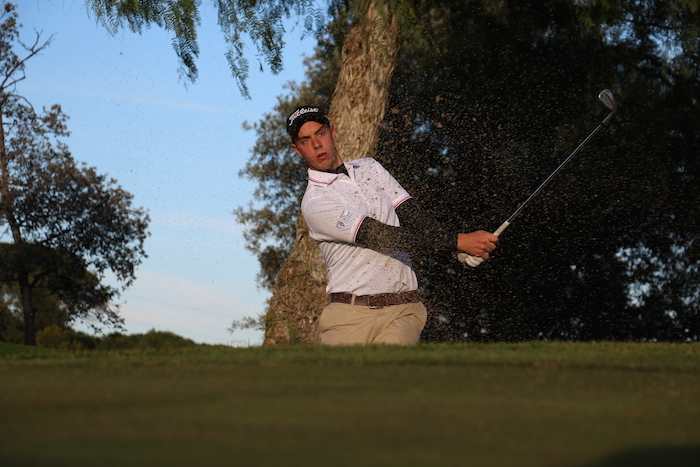 The Andalucia Cup, scoring for the WAGR, national and Andalusian ranking, was played over 72 holes medal-play. UGPM team jumped at the chance to share the tournament days with players. UGPM’s psychologist Rocío Pomares and Director Javier Martin-Montalvo came to Guadalmina to support the team and approach the program to the players.